Have we entered a time when justice will begin to prevail in America? For decades, celebrities, politicians and those in other positions of power have been engaging in very serious sexual misconduct, and victims have felt powerless to do anything about it. But now thanks to Harvey Weinstein, the dam appears to be breaking and all of a sudden a flood of allegations is coming out. On Monday, we learned of brand new accusations against Bill Clinton, Al Franken, Charlie Rose and New York Times journalist Glenn Thrush. 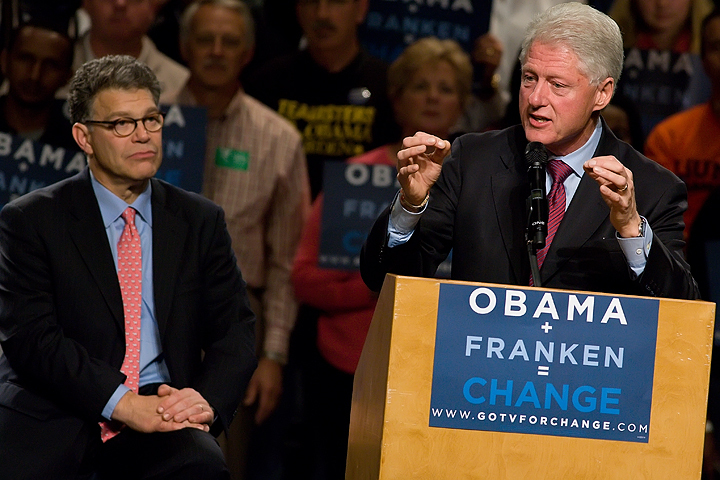 Of course Clinton and Franken are just the tip of the iceberg when it comes to sexual misconduct in Washington. As I wrote about yesterday, 264 cases of sexual harassment in Congress have been settled since the beginning of 1997, and the total amount of money paid out in those settlements has been $17,250,854. The American people deserve to know who was accused of sexual harassment in all of those cases, because it was taxpayer money that was used to pay all of those settlements. In my new book entitled “Living A Life That Really Matters”, I talk about the consequences of turning our back on God as a society. Just about every form of evil that you can possibly imagine is multiplying all around us, and we definitely need to turn back to God. But the fact that light is being shined in some very dark places gives me hope. I truly do believe that we can change this nation, and that includes taking back our very corrupt government.